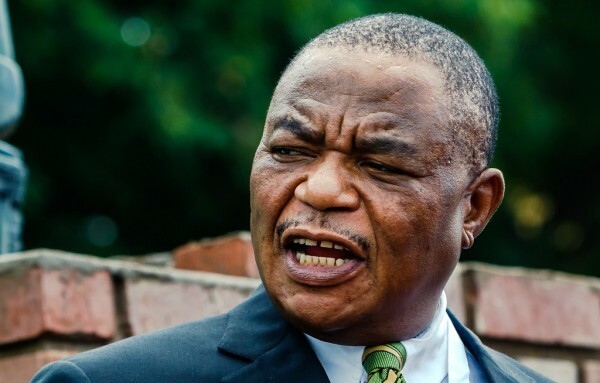 Vice President General Constantino Chiwenga (Rtd) was last night spotted coming out of a top private hospital in Borrowdale, Harare, amid reports of a health scare. Sources told ZimEye.com, Chiwenga was rushed to a nearby health centre after allegedly collapsing. “He suddenly collapsed while in office around 3pm and then taken for emergency checks” they told ZimEye. It was not immediately clear what the former Zimbabwe Defence Forces Commander was suffering from. Chiwenga was seen being assisted by aides, who surrounded him as he got into a silver Mercedes Benz S class vehicle through the back door after spending hours at the facility, Newsday also reported saying. Although an official at the private hospital claimed the VP was visiting a relative, another official alleged that Chiwenga had been taken ill earlier and stabilised. Chiwenga was later driven off the hospital premises in a motorcade whose other vehicles included a Black Mercedes Benz S class and a maroon Range Rover with South African number plates. A military police double cab vehicle was also parked at the hospital although it was not part of Chiwenga’s motorcade. Media, Information and Broadcasting Services ministry principal director Regis Chikowore was not reachable for a comment last night.